MAENGA, a hate group that parades as a fake think-tank has outdone itself again with baseless lies in the article titled “PRESIDENT PETER MUTHARIKA IS VERY WEAK TO BE A LEADER OR PRESIDENT OF THE COUNTRY; WITH HIM MANY PROBLEMS THAN SOLUTIONS HAVE EMERGED”. Out of respect for intellectual engagement, I took time to carefully read the article, which I found to be devoid of truth, substance, content, or any logical analysis. It is nothing but a piece of propaganda that seeks to continue to create “hate” against APM. Ultimately, it is a feeble attempt at convincing Malawians that everything is going the bad way. This is a propaganda tactic to deceive you as a voter that everything is so bad that Malawi needs change. It is a paropaganda for justifying change. 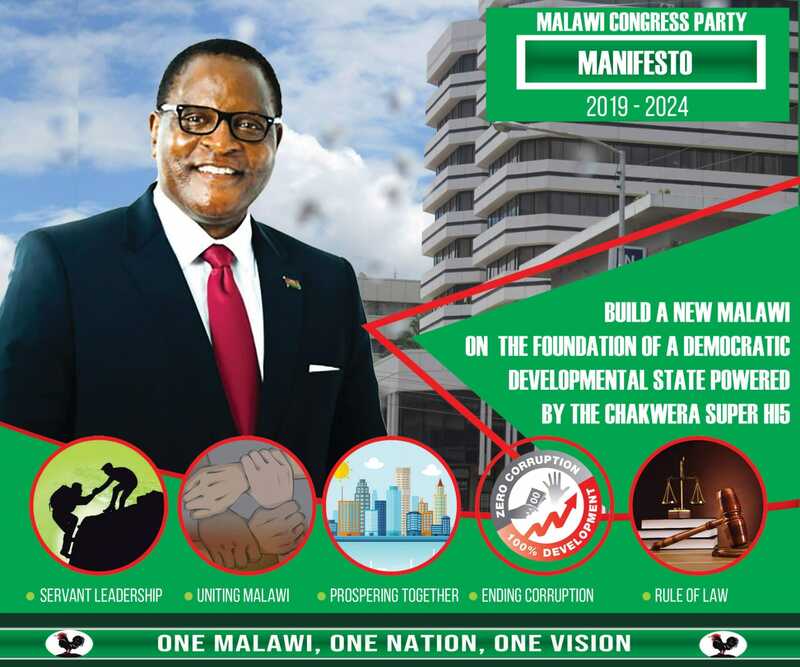 This is a Malawi Congress Party propaganda of change which now Chilima has stollen and parroted. Chakwera and Chilima have forgotten Lesson Number One in propaganda. NEVER BASE YOUR CAMPAIGN ON LIES. Voters are not fools. They will discover that you are lying and they will never believe whatever you say. Indeed, all lie dictators indicate that MAENGA’s narrative is all a heap of lies driven by a hate campaign. Economic indicators tell us of a story of Malawi, a country rising! On the contrary, I fight lies with truth. Therefore, in rebutting and deconstructing the MAENGA baseless lies, I share with you the truth about Malawi, where we come from as a country – and where we are going under the leadership of APM. Contrary to MAENGA’s lies, I offer all truth backed by facts, verifiable references from authoritative independent sources such as the Millennium Challenge Corporation, the World Bank, and IMF. Let the facts speak! The desperation of Dr Bandawe and Saunders Jumah in trying to smear APM and de-campaign him is visible from the opening paragraph to the last. Objectivity is the first casualty in the execution of their cheap propaganda smear. It is a great shame that “intellectuals” who are supposed to contribute to the debate in the society are actually gossip mongers and peddlers of lies. Shamefully, Malawi has a couple of intellectuals and journalists who masquerade themselves as ANALYSTS when they are only OPINIONISTS. The central theme of MAENGA’s article is “corruption” and “problems” that have emerged under APM. But the argument fails miserably because our MAENGA intellectuals have dismally failed to share even a single FACT or shred of verifiable evidence supporting their claim. None! Let alone referring to credible sources of their claims or where they got their concocted information. They claim that there is rampant corruption, but they do not share or point out a number of “corruption cases” that they have reported to the authorities. None! A great flaw in MAENGA’s article, and a common thread running through their “Dictums” are lies, and more lies. Utopian indeed! Since the MAENGA brigade fail on the yardstick of truth. Here is the truth about Malawi, supported by verifiable facts – not the innuendo paraded by Jumah as analysis. Not the shebeen politics of Jumah and Bandawe! • In 2014, APM inherited a country that was collapsing in an economic crisis. • There was no money because the previous Government had engaged in massive looting of government resources — something that Jummah ignored because it does not suit his agenda of lies. • APM inherited a deficit that was almost equal to our annual national budget. The country was going bankrupt. • In the first year of APM led administration or Government, we had a national-wide disaster. There were floods that were followed by drought. Crops failed and there was famine. However, no single Malawian died of hunger. • In the second year of APM’s administration and Government, there was drought and crops failed again. There was famine again. However, no single Malawian died of hunger. • Meanwhile, there was no donor budget support to support the economy due to the looting that took in the previous administration. Malawi had to run with its own resources, and it did! On record, it has taken APM only 2 years to turn around Malawi from economic crisis to economic stability and economic growth. Malawi is now the fastest growing economy in the region. No matter how much MAENGA maybe obsessed with hate in waging their hate campaign, they cannot dispute these facts. In fact, I dare them to dispute Malawi’s macroeconomic trend since 2014 if they have any intellectual backbone. Strangely, MAENGA goes on to claim that APM is weak as a leader. But APM’s achievements in the past four years are not a sign of a weak leader at all. No weak leader can achieve what the APM has achieved in the past four years. • We have reduced inflation from 24 per cent to a single digit. • We have reduced interest rates from 25 per cent to 16 per cent. • We have taken our import cover from the lowest point to the highest point in our economic history. Our import cover has risen from below 2 months to 6 months. • We have made local currency stable and predictable. • We have raised economic growth above the Sub-Saharan and IMF global average growth. The GDP Growth Rate was at 2.4 per cent when APM started leading Malawi four years ago. Now we expect growth at 4 per cent in our 2018/2019 financial year. World Banks expects this growth to rise to 6 per cent in 2019. President Mutharika has led the greatest economic recovery of Malawi. In fact, this one of the greatest economic stories ever told. All this is a clear result of APM’s prudent fiscal management. Donors and donor confidence returned, and we have seen EU, World Bank and other funders coming back to Malawi. It is important to be reminded that donors left because of the rampant corruption under Joyce Banda’s government. Moreover, they are back because Mutharika and his administration run a clean government. Something the hollow “dictums” fail to appreciate. The IMF has on record described APM as having economically “overperformed.” If corruption was rising, we could never have overperformed economically. You cannot have sound economic management and economic overperformance at the same time. On this thesis, the argument that corruption is rising in Malawi is a lie and mere propaganda. Let Malawians know this. Where corruption is rising, public money goes into personal pockets more than to development projects. Projects fail because money gets “eaten” by individuals. But APM is fixing the economy, building news roads, building community technical colleges, creating jobs, providing rural electricity to vilagers, providing piped water to rural communities using our public funds BECAUSE APM IS DRIVING SOUND ECONOMIC MANAGEMENT. In November 2018, the independent U.S. Government agency, the Millennium Challenge Corporation (MCC) has released a scorecard on the performance of Malawi in various areas. This is part of their review every year, in order to see eligibility of countries to receive financial support. Again on record, Malawi was one of the best performed country. The MCC measures three clusters or categories, namely: Economic Freedom, Ruling Justly, and Investing in People. Malawi scored very high in all the areas. Two of the key areas that stood out is the 65% on Control of Corruption and 73% on Government Effectiveness. The above independent scores and measures by this reputable institution are a far opposite of the propaganda that MAENGA is trying to spin. The FACTS presented above completely differ with MAENGA’s claims. But again, as cheap propagandists – MAENGA continues its attempt to polarise Malawi, to advance politics of hate, and promote darkness at the expense of light or optimism. It is befitting to remind ourselves of the wise words of our great leader President Mutharika when he said:- “Our detractors will target our leaders with smear propaganda. They want to smear us dirty because they are dirty in the heart. They want us to fail because they are failures. Light and darkness cannot walk together. MAENGA’s dark politics of hate and lies will remain in the pit of hell where they belong. They cannot be anywhere near APM’s sophisticated politics and robust performance. Malawi is a nation rising, and we have come too far – thanks to APM’s hard work and dedicated team of patriotic civil servants. Voters in Malawi will always listen to the lies knowing they are being sold lies. It started during Bakilis’ time. With Malawians, it’s not about the message but rather where one comes from. It’s that simple. The writer’s claims to objectivity are spurious. I hope that he/she will go through his/her dissertation weeding out its subjective and unsubstantiated claims with greater thoroughness than he/she exercised when editing this article. We need a change. The guy is too old. Let the youth take up and lead the nation. We are done with family leadership. KTC which PhD are you talking? The English sounds lomwe. Tell us about 145 million. Desperate to eat our tax money forever by trying to justify the unjustifiable. Do not worry you will survive outside government. How do they rest of us make it? A Malawi awone zina. Za K145 millionizi zipite kwawo. Moreover you will not attain your PHD if that is the type of reasoning….